This brand new product from Pantac is heaven-sent for all those airsoft gamers who enjoy taking photos of the game but have had to leave their camera at home, worrying that their pride-and-joy would get smashed up while packed away in their rucksack. 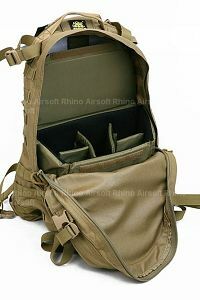 It can quite easily fit into the bottom of a rucksack or any other bag with appropriate dimensions. 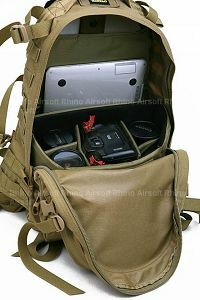 It can fit a medium-sized DSLR body along with 3 with 3 lenses, and protects them thanks to the ample padding. Inside are 4 velcro-adjustable separators and on the back side there is a space for a small 12 inch notebook or something of similar size. 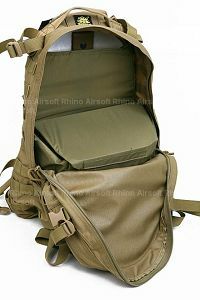 Dimensions: 10inches wide, 8inches tall and 7 inches deep.Please note that the Pantac AIII backpack sold separately.